There has been a Significant Name Change to a hill that is listed in the Y Pedwarau, with the summit height and drop of the hill being confirmed by a survey with the Trimble GeoXH 6000 which was conducted on the 1st April 2018. 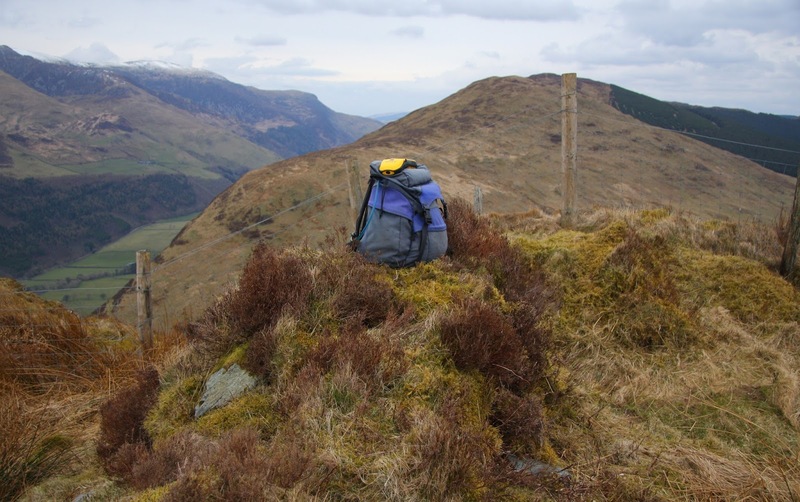 Y Pedwarau – These are the Welsh hills at and above 400m and below 500m in height that have 30m minimum drop. The list is co-authored by Myrddyn Phillips and Aled Williams, with the introduction to the Mapping Mountains publication of the list appearing on the 30th January 2017. The hill is adjoined to the Tarennydd range of hills, which are situated in the south-western part of North Wales (Region A, Sub-Region A3), and it is positioned above the B 4405 road and the small community of Abergynolwyn which are to its west. 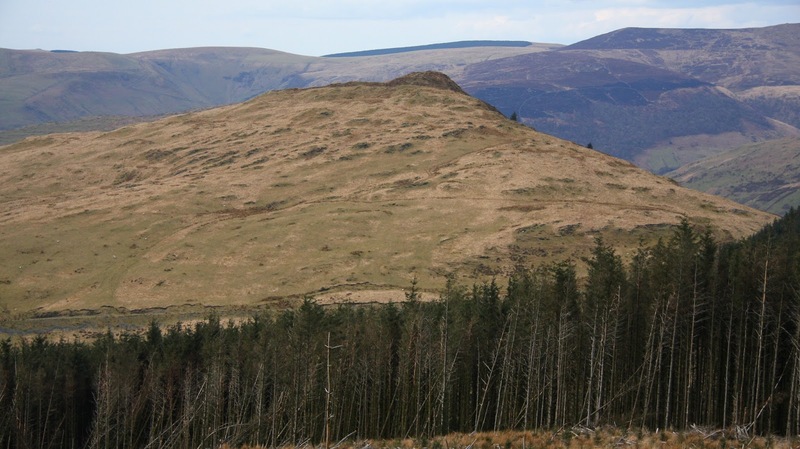 The hill appeared in the 400m P30 list on Geoff Crowder’s v-g.me website under the name of Foel Pandy, and this is also the name that the hill was listed by in the Y Pedwarau (Europeaklist, May 2013). Hill list authors are prone to list a hill by the name that appears nearest to its summit on contemporary Ordnance Survey maps, without much consideration for its local or historical confirmation, or whether map placement is appropriate, and in the case of this hill there are two names that are consistently applied on different scaled Ordnance Survey maps to land near this hill’s summit, these names are Graig Wen and Foel Pandy. Many Welsh hills comprise bounded land that is separated either by a fence or wall; these boundaries indicate land that is adjoined to different owners or tenants. These land boundaries have usually been in place for centuries and in the uplands of Wales they are referred to as the cynefin, or sheep-walk in English. The sheep-walk is an English term given to enclosed land that is apportioned to a specific farm. The Welsh term for this land is cynefin, which can be literally translated as habitat, as in that for the sheep. The cynefin usually takes in land that is known as the mountain land of the specific farm, therefore the name given to this enclosed land is usually that of the name of the farm prefixed with the word mynydd (mountain), this land is usually given over for sheep grazing, hence the term sheep-walk. When Ordnance Survey maps are examined one can find many examples where this form of cynefin naming system exists, with farms situated in valley’s having their name given to high mountain land and prefixed with the word mynydd. The bounded land given over to specific farms also takes in middle ground between the higher mountain land and the lower pasture land of the valley, this is known in Welsh as the ffridd and can take in a variety of habitats including heath, moor, grassland, woodland and high pasture. Again, when Ordnance Survey maps are examined one can find many examples of names prefixed with the word Ffridd, and its apportionment to a specific hill is dependent upon where the bounded land is situated and referring to the Tithe maps for confirmation is then advised. It is the cynefin naming system that usually results in a hill being known by different names in opposing valleys, as in many instances the upper bounded land meet at the watershed on top of the summit ridge and therefore the same hill would be known by two different names, each name a part of a different farm’s cynefin. Although it is usual for the mountain land of a farm to be prefixed by the word mynydd and followed by that of the farm name, on occasion this does not happen, and this is such a case as the name Foel Pandy is considered a cynefin name, with the farm of Maes-y-pandy situated between Abergynolwyn and Tal-y-llyn. Contemporary Ordnance Survey maps also name the wood below the bounded land of Foel Pandy as Foel Pandy Wood, in affect this bounded land is adjoined to this farm. 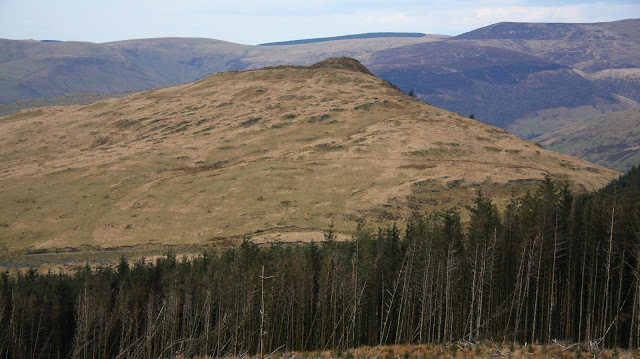 Therefore, as a name for a hill is prioritised over that of a cynefin name for listing purposes, this hill is now listed in the Y Pedwarau as Graig Wen.